CHARLOTTE – (RealEstateRama) — Crescent Communities today announced it has appointed David O’Donoghue as executive vice president of its Resort and Second Home Communities team. In this role, O’Donoghue will be responsible for sales, marketing, development, overall operations and property management for the company’s flagship Palmetto Bluff community, a 20,000-acre development in the South Carolina Lowcountry, between Hilton Head and Savannah, Georgia. Hailing from DMB Associates – a national organization that is recognized as one of the premier developers and operators of resort real estate communities globally – O’Donoghue most recently served as senior vice president of Club & Resort Operations for DMB’s portfolio of luxury resort and club communities, including Silverleaf in Scottsdale, Arizona, Martis Camp, in Truckee, California, and Kukui’ula in Kauai, Hawaii. He has extensive experience leading communities through all phases of development and operations from start-up and launch, to active sales and stabilization. “Crescent Communities is an extraordinary, innovative company with a tremendous team and unique culture. I have admired Palmetto Bluff for years and am honored to serve in a position in which I’m entrusted to maintain its great reputation. 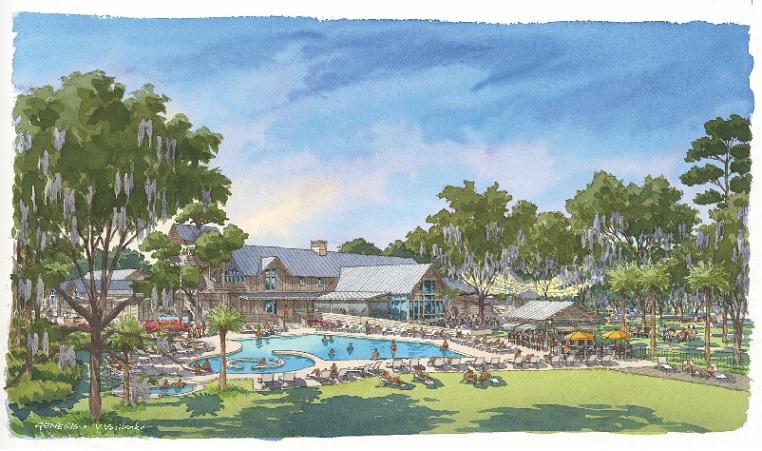 Between the opening of Montage Palmetto Bluff, the development of the new Moreland Village, and the continued investment in the homeowner experience, we have lots of exciting things on the horizon and I am eager to get started.” said O’Donoghue. O’Donoghue’s appointment further reinforces Crescent’s dedication to Palmetto Bluff, and to maintaining it as a place with a deep connection to its environment, history and culture. Palmetto Bluff is situated in the Lowcountry of South Carolina between Charleston and Savannah, Georgia, Palmetto Bluff is the largest remaining waterfront property on the East Coast and part of the Crescent Communities residential real estate portfolio. Currently evolving as a residential community and conservation preserve, the 20,000-acre development is surrounded by 32 miles of riverfront and features extensive nature trails; a vibrant Village center complete with river access, boat storage and canoe club; a distinctive food and beverage program; the AAA Five Diamond Montage Palmetto Bluff resort; and a Jack Nicklaus Signature Golf Course. An array of southern- style residential neighborhoods ranging from multi-million dollar legacy family compounds to more traditionally sized, single-family lots are currently available. Crescent Communities, LLC is a leading real estate investment and operating firm creating long-term value by developing thoughtful, sustainable communities that improve people’s lives. Founded in 1963, Crescent’s original mandate as a land management company continues to inform its commitment to the wise stewardship of natural resources. 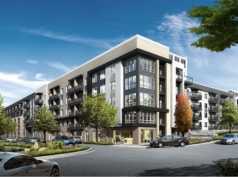 The company finances, plans and develops residential, multifamily, mixed-used and commercial properties and land assets, valued in total at $1.2 billion. Crescent is recognized for its innovative approach to development, robust capital deployment, seasoned leadership team, and proven model of sustainability. For more information about Crescent Communities visit www.crescentcommunities.com. Skyline, A Wilbert PR Company, LLC is a public relations and communications firm specializing in business to business communications and general media relations. 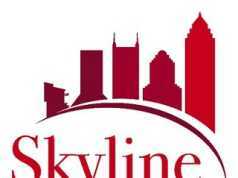 Skyline has significant clients in Charlotte, Nashville, Atlanta, Charleston/Columbia, South Carolina, and Grand Cayman. Skyline has deep expertise in all areas of traditional media relations, social media, and content creation and has previous experience delivering impactful PR programs for professional services firms. Founded by a former real estate journalist, Skyline has unparalleled national and local media relationships. Skyline, a Wilbert PR company, is a public relations and communications firm specializing in commercial real estate. Skyline has significant clients in Charlotte, Nashville, Atlanta, Charleston/Columbia, South Carolina, and Grand Cayman. Skyline has deep expertise in all areas of traditional media relations, social media, and content creation and has previous experience delivering impactful PR programs for professional services firms. Founded by a former real estate journalist, Skyline has unparalleled national and local media relationships.